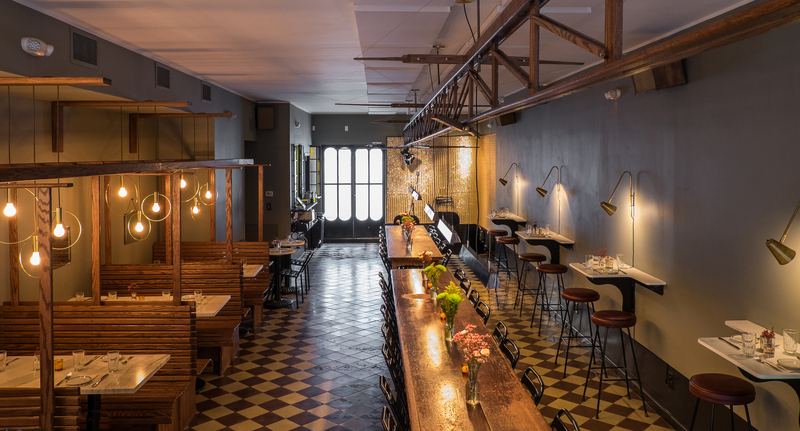 Le Fanfare is a beautiful and warm authentic Italian restaurant and venue in Greenpoint from the owners of Nolita darling, Epistrophy Café. Tucked at the end of Manhattan Avenue and situated among the traditional Polish bakeries and butchers, Le Fanfare features organic Italian cooking and live jazz music, paired with an all Italian wine list and classic cocktails. It's long banquet tables provide the optimal space for an intimate party of up to 70 guests, or a standing room of around 80. Chef Adam Ross leads the kitchen offering the highest quality ingredients presented in an honest and inviting way. All the pastas and breads are made in house. The meticulously sourced ingredients create seasonal Italian food by way of regional products. Our bar also includes a carefully curated wine and craft beer list. Signature cocktails available. The space can hold 70 seated guests and up to 90 standing cocktail hour party guests.